Ever wanted to travel into your favorite Harry Potter book and spend some time with the characters? Well, we can’t exactly help you there—but you can explore the Wizarding World without ever leaving the Muggle world. This back-to-Hogwarts season, a new North American destination dedicated to The Boy Who Lived opened its doors, and author J.K. Rowling herself revealed that Harry’s son James has been sorted into Gryffindor. The following Potter-themed sites and accommodations make it clear that the rest of the world wants the story to live on just as much as she does. The newest Harry Potter attraction, this independent bar in Toronto opened in September and offers an authentic Potter-inspired feel without the gimmicks of a commercial theme park. You won't find any of the series' characters or settings noted anywhere in the bar, but it's clear the establishment's name (and vibe) owes a lot to a certain idiotic Defense Against the Dark Arts professor. 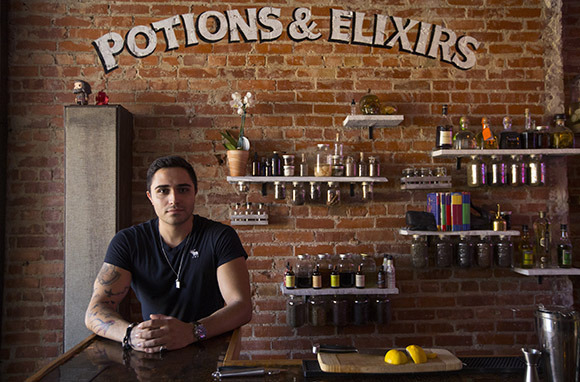 Patrons can order "potions and elixirs" bearing names like "Befuddlement Brew" and "Shacklebolt" within a Diagon Alley-esque bar setting. The ultimate confirmation this place is a Potter-lover's haven? A glowing neon sign with the words "all was well" scrawled inside a heart. Even more authentic than the Potter-inspired bar scene are these Wizarding World filming locations. The most iconic Harry Potter scenery is open to the public at Gloucester and Durham Cathedrals in England. 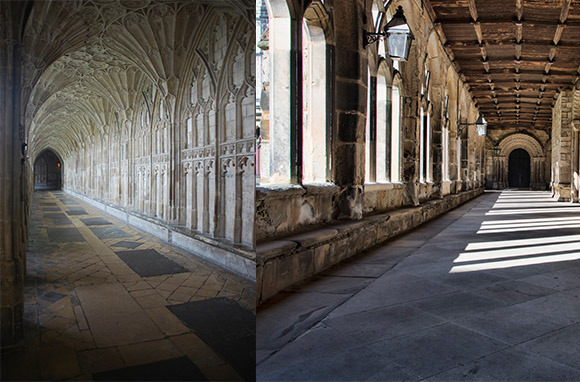 Gloucester Cathedral has been a place of worship for more than 1,300 years and is home to a supposedly haunted crypt and monastery, making it a tourist site in itself. But longtime Potterheads will recognize the cathedral's halls as the same ones that were inscribed with blood warning that the Chamber of Secrets had been opened. Durham Cathedral's exterior and grounds often stood in as Hogwarts for filming, serving as Hogwarts' courtyard and quad for scenes between classes. Parts of the interior were turned into classrooms for the movie, and an online virtual tour shows just how magical the inside appears to be. 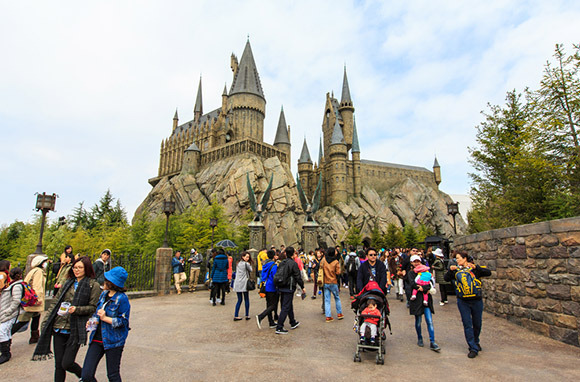 For an interactive fantasy that will let you fly a broomstick, ride a dragon, and drink Butter Beer, head to one of Universal Studios' Wizarding World of Harry Potter theme parks, located in the U.S. (Orlando) and Japan (Osaka). Rides aren't the only attraction at the park, though—you can shop in Diagon Alley, which is complete with an Ollivander's that will fit you with the perfect spell-casting wand (phoenix feather or unicorn hair core?) and a Honeydukes with much more to offer than just Chocolate Frogs and Bertie Bott's Every Flavored Beans, if you can handle it. 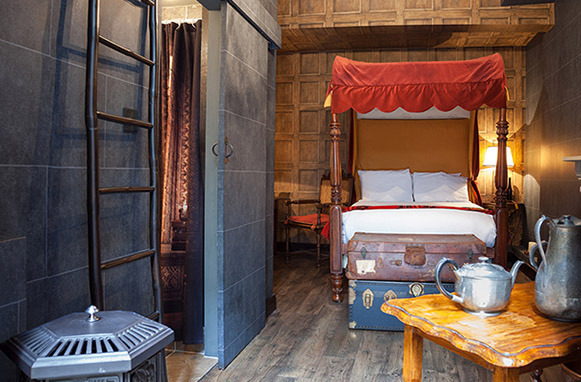 Hotel accommodation doesn't get more Harry Potter than the Georgian House's Wizard's Chambers. The three-bedroom suite features four-poster beds straight out of a Hogwarts dorm, as well as potion bottles, fireplaces, antler-flanked chandeliers, and candle-lit desks. The hotel is within walking distance of guided Harry Potter tours, and bookings can be made through the concierge. As the oldest university in the English-speaking world (established before 1096 C.E. ), Oxford has now also made movie history by serving as the filming location for Hogwarts' library scenes, and the inspiration for the wizarding school's Great Hall. 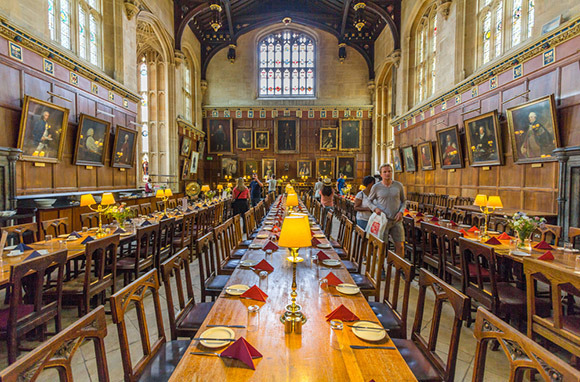 Christ Church College's Great Hall is mimicked by the set that served for Hogwarts feasts, and the school's actual Bodleian Library—which houses every book ever published in the U.K.—was used as Hogwarts' ancient library. Paying a visit to Warner Brothers Studios in London is the only way for film enthusiasts to get the full Harry Potter treatment. Wander the enormous Hogwarts set and walk the same Diagon Alley that Harry, Ron, and Hermione did in the movies before you ride a broomstick and drink a stein of Butterbeer. 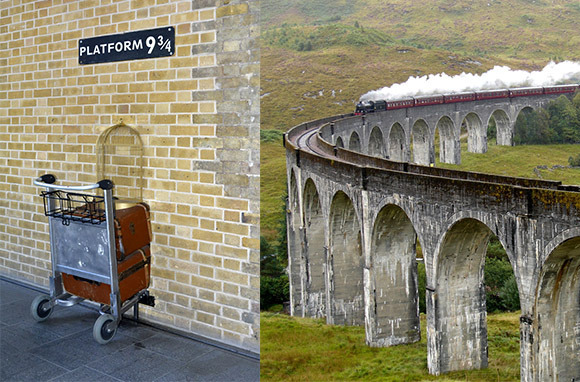 It turns out the Hogwarts Express and Platform 9 3/4 are real. Well, not exactly. But Potterheads can travel across Western Scotland on the Jacobite Steam Train, which was transformed into the Hogwarts Express for the films. King's Cross Station also has commemorated the series with an actual luggage carriage—complete with owl cage—that appears to be passing through the wall where the entrance to Platform 9 and 3/4 would be. Grab on for a photo op, or head to Scotland to catch the Jacobite from a real platform. American Harry Potter fans without a means to visit London or Toronto can often enjoy a state-side magical festival or pub crawl. These vary depending on the time of year and your location, but bars in Los Angeles, Atlanta, and Philadelphia have been known to offer Potter-themed family events and/or boozy bar tours around Halloween. 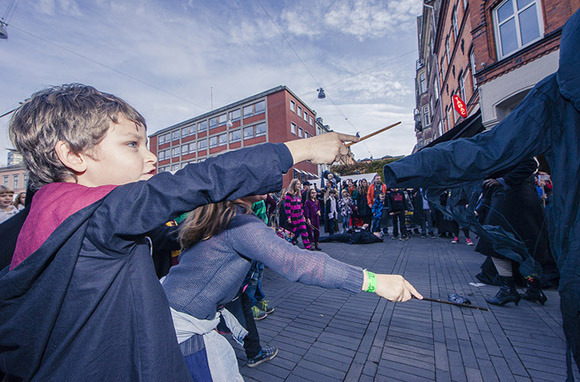 Philadelphia offers a family-friendly Harry Potter Festival this October 16 and 17. Atlanta kicks off a massive Potter Pub Crawl on November 20, and Los Angeles' Den on Sunset recently hosted a Pop Culture Pub Crawl dedicated to The Boy Who Lived. Keep an eye out for more in your area, especially around Halloween. 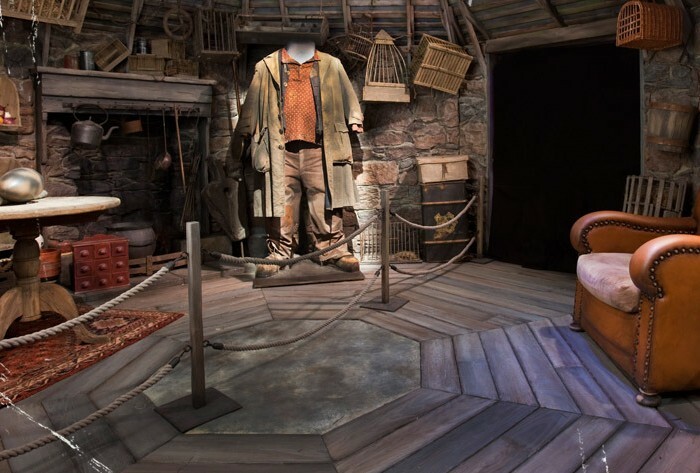 The traveling Harry Potter Exhibition has appeared in museums and studios around the world, and is currently revealing all the movies' secrets in Paris, France, at the Cite Du Cinema. The exhibition is a trunk show of sorts, displaying the impressively crafted costumes, props, replica sets, and artifacts that went into the movies' making. The educational exhibit has set up shop in Chicago, Boston, Toronto, Seattle, New York City, Sydney, and Singapore since 2009. 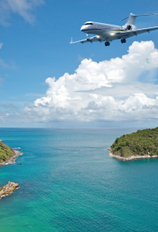 It will continue on its way after Paris to an undisclosed location. 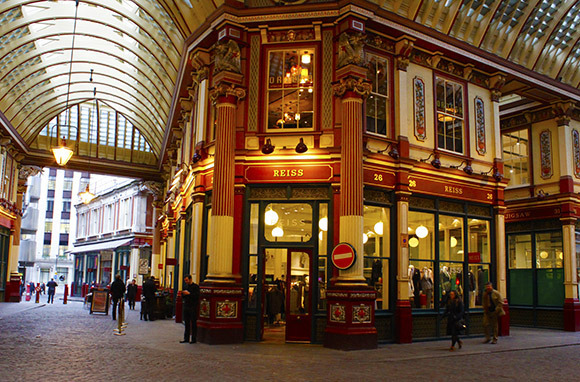 If the studio version of Diagon Alley doesn't suit you, head to the village's real-life equivalent: Leadenhall Market, located in—you guessed it—London. Some exterior shop scenes of Diagon Alley were filmed in this covered Victorian market. 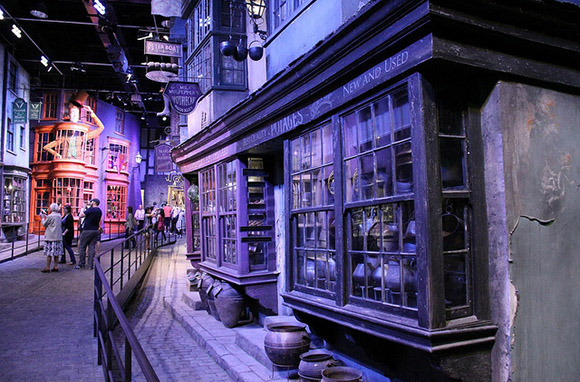 An optician's store called The Glass House was transformed into The Leaky Cauldron for filming, and is now frequented by Harry Potter experts for photo ops. 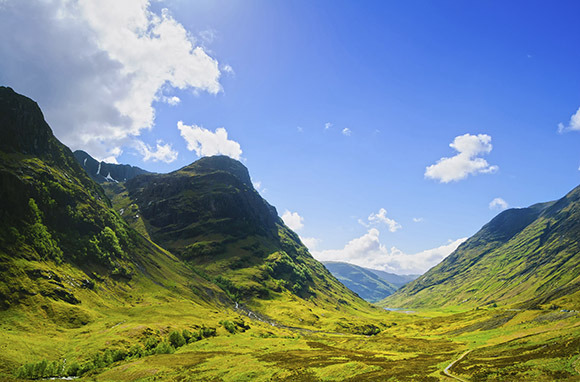 See the filming location that hosted Hagrid's hut and scenes near The Forbidden Forest in Glencoe, Scotland. The moss-covered mountains are perfect for a family hike, and have served as a backdrop for other films like Braveheart, Skyfall, and a not-yet-released adaptation of Macbeth. Shannon McMahon has been a Harry Potter fanatic for the past 15 years and a movie enthusiast since birth. 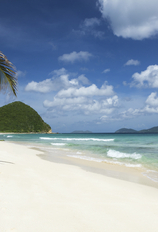 Follow her travels on Twitter @shanmcmahon_.